I can only dream of ever working at a place with so much talent, let alone running it – these bakers are absolutely incredible and I wonder how anyone can hold even a finger up to their standards! Here are some amateur shots I took of the gardens. 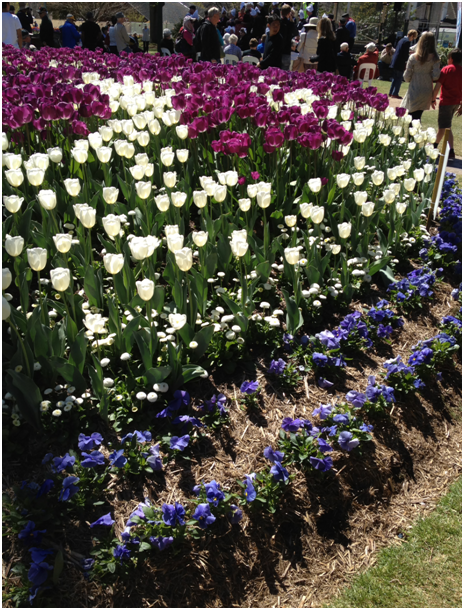 I wish I could put an album up for you because I have never seen such a beautiful array of flowers in my life before! I may not have the willpower to garden (and have a phobia of bugs) but can certainly appreciate them! 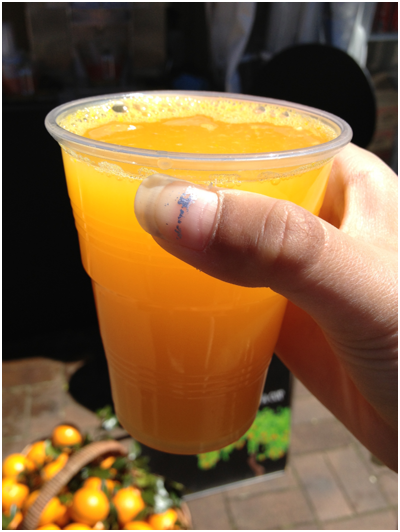 Fresh fruits were also abundant meaning we had to try some of the fresh juices available! 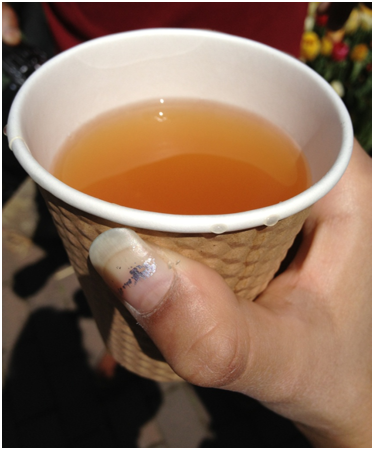 Despite the awesome sunshine and obvious bit of Spring heat, I went down the warmed mulled [non-alcoholic] spiced apple cider track and died and went to heaven. In love with life…. We were seated easily, which is lucky considering we saw one woman basically run like she had a rabid dog on her heels to get a table! A waiter immediately knew of new arrivals (I have no idea how with the bustle) and casually handed us out our menus. Again, I love how there is a lack of pretentiousness, even though obviously there is a high level of popularity here 😀 – such welcoming ambience! ***Sorry for some poor pictures ahead, the lighting was utterly awful! First up come the drinks. 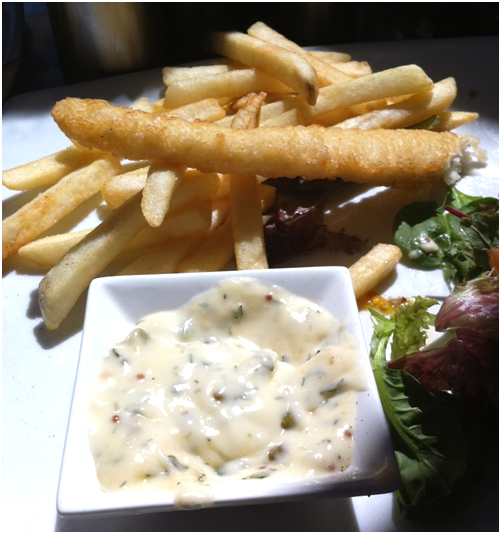 My dad firstly ordered a huge dose of good ol’ Fish & Chips – Beer Battered flathead fillets, fries, tartare sauce, garden salad ($18.50). I can’t say but he claims that the fish was perfectly crispy and delicious with the refreshing tartare sauce. 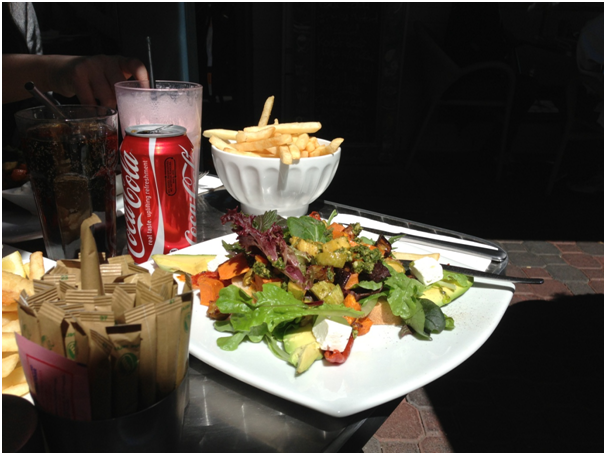 I loved how the garden salad was such a great mix of vegetables as opposed to the usual 😀 – It certainly satisfied his craving! I was inspired by Bowral. It did so much just by highlighting the simple pleasures of life. I mean, I like complex, hustling and everyday life but it is nice to get away sometimes and just relax. Soft, light and scrumptious, it is slightly spongey and very delicious due to the light lemon flavour, which would be more pronounced of course if you add the icing. In a small pan, gently melt the butter over low heat. 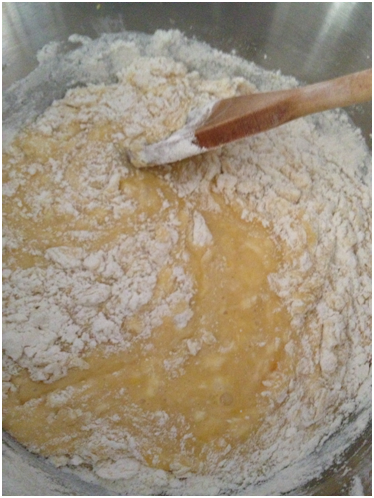 Remove the pan from heat and allow the butter to become cold while still remaining liquid. Oh wow…pastries, tulips and even a cool fire engine?! A post that has it all 🙂 Well worth all the scrolling down! 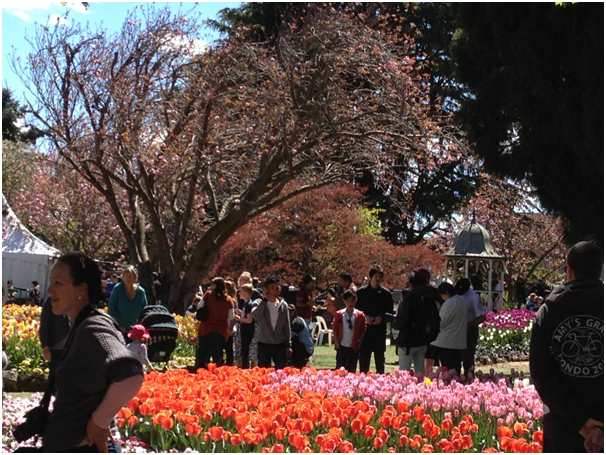 What a treat, CCU, to take a trip to Bowral with you and your family. Wonderful photos of food, flowers, etc. And you still had the energy to supply us with a recipe! 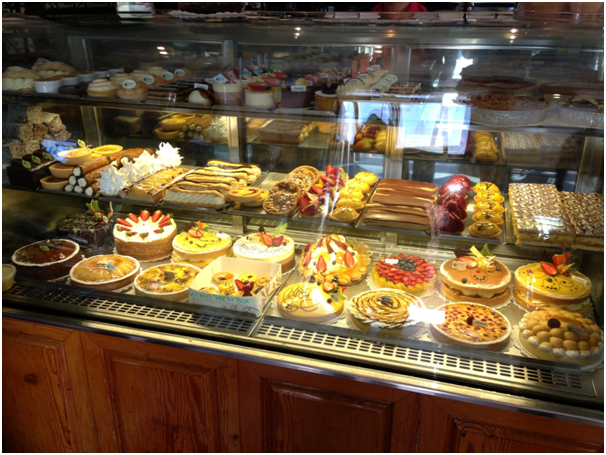 How were you able to tear yourself away from that pastry display case? 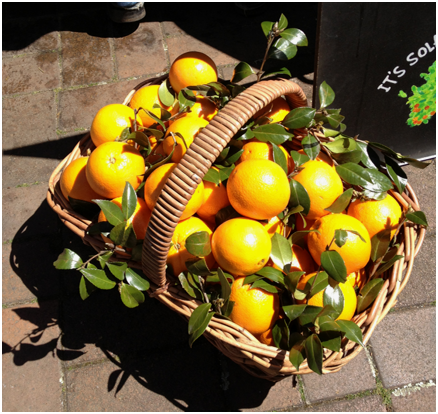 So pleased you loved the orange juice and cider – it was a new venture for us. Sounds like you had such a fun trip – what a gorgeous town that looks like! And that salted caramel macaron + apple cider are making me sooo hungry! 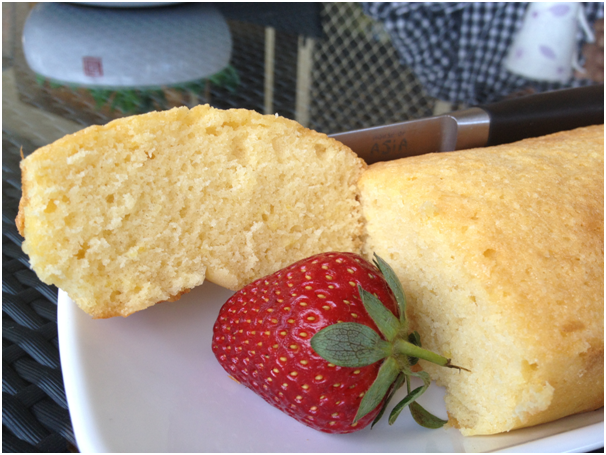 =) your weekend cake looks absolutely lovely, too. YUM! 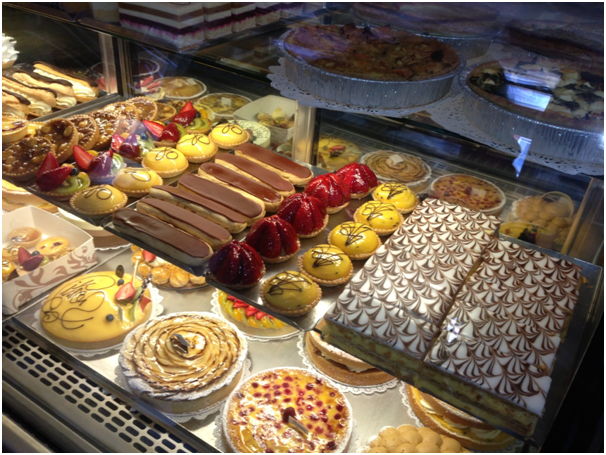 All of your pictures are wonderful but I can’t stop thinking about that bakery….EVERYTHING looked so yum!! Looks like you had a fantastic day trip with the Fam. 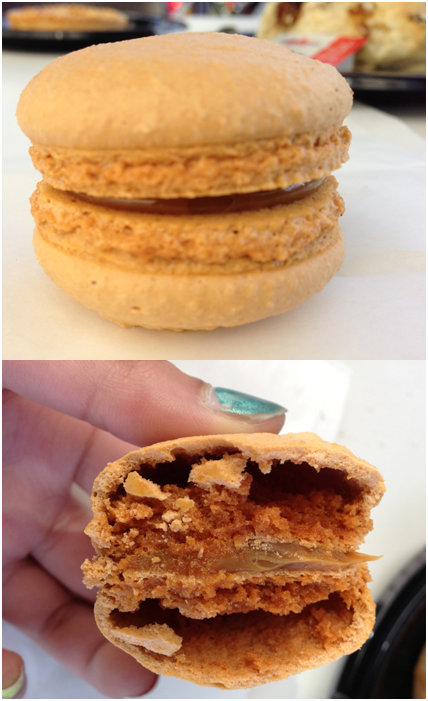 Wise decision going with the salted caramel macaron…that sounds EPIC! 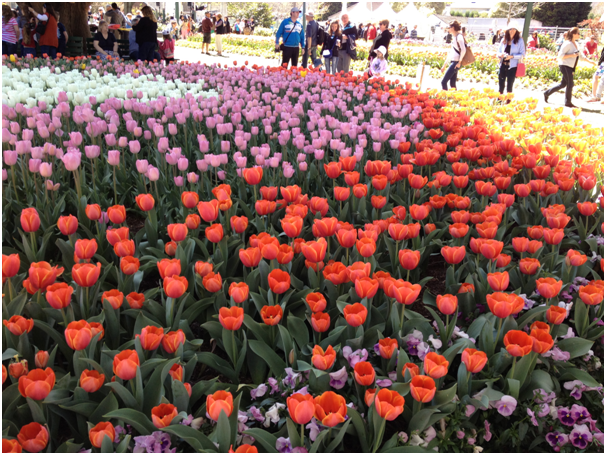 And the tulip festival looks like so much fun. 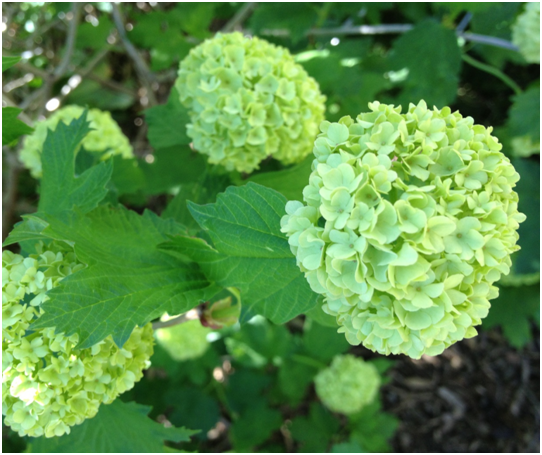 Green flowers! Who knew? What a fun trip! It is nice to get away for even just a day and explore. 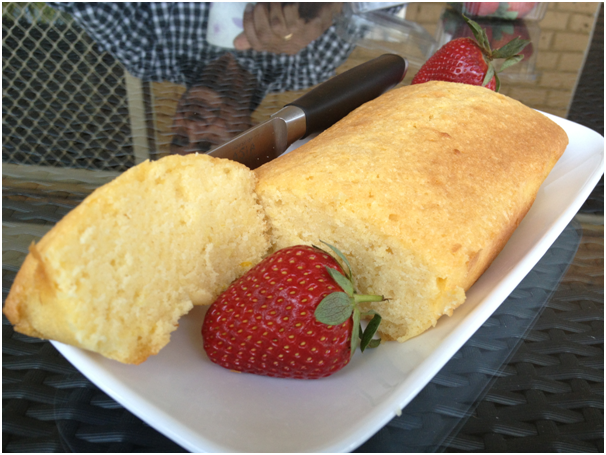 Your cake looks so light and spongy – perfect to dress up or keep plain. 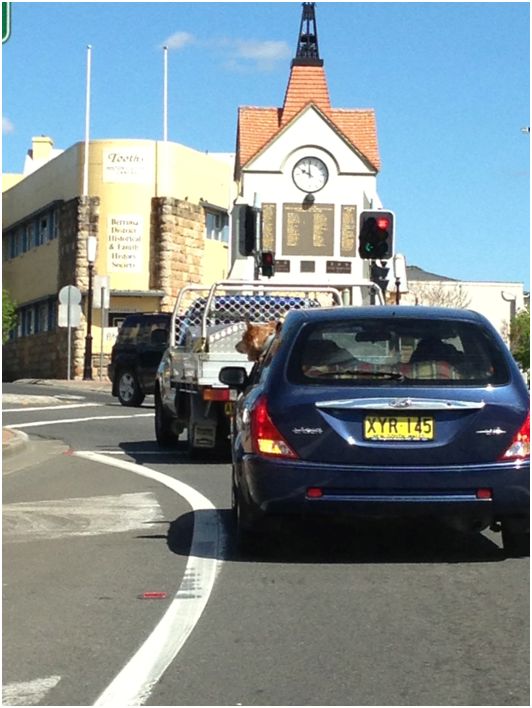 Is Bowral on the way to the Blue Mountains? It looks familiar. Looks like a delicious road trip! Exploring little cafes and bakeries is one of my favorite hobbies. That cake looks incredibly moist! Nice! Gorgeous photographs! Love the tulips. 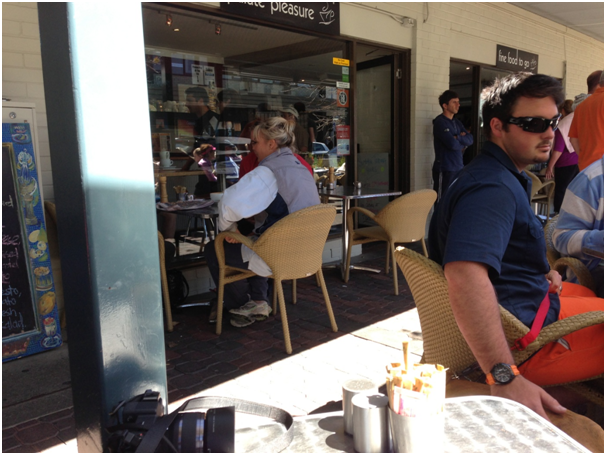 Thanks for sharing and taking us on a tour of Bowral. Hopefully, some day I will be able to visit! They look very tasty..thanks for sharing. What an inspiring post! I love taking trips (I’m actually heading to the airport in just a few hours! ), and your exploring has be extra pumped to do my own. Not that I’m ever going to get there, but I do love your reviews and photos! Great pictures! Thanks for sharing your trip with us! I’m a huge cricket fan so the Bradman factor would definitely be a big enough incentive for me to visit. Not so much my bf who doesn’t understand nor like cricket, though. 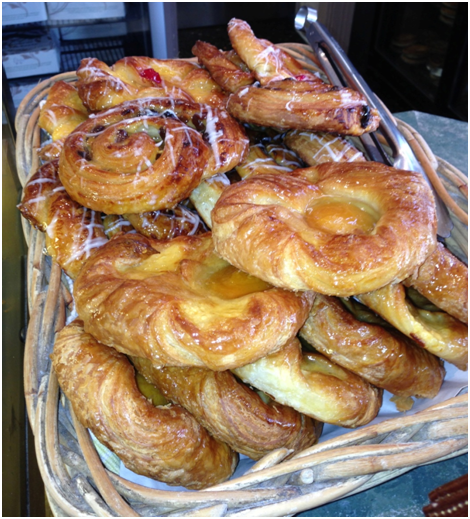 That said, I think I can convince him by telling him about this pastry cafe – YUM! Yay you got to get to Bowral! Looks like you had a really awesome day! 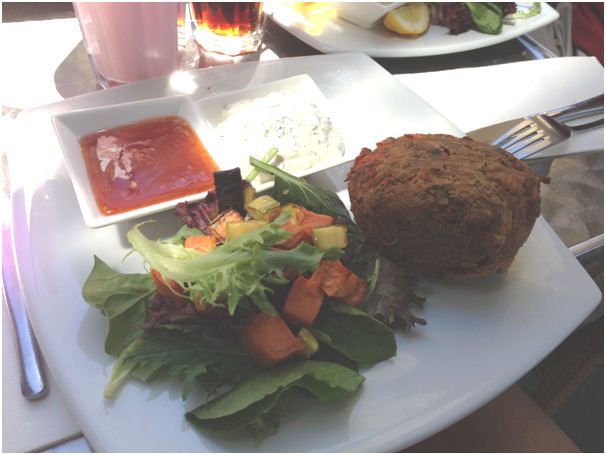 I’ll have to put the Palate Pleasure Cafe on my list for next time! 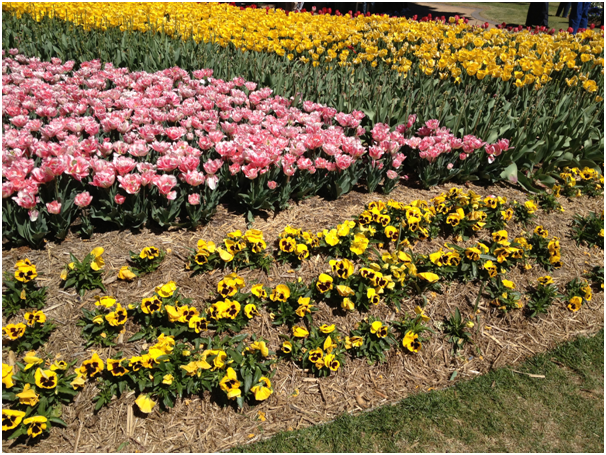 So disappointed I missed the Tulip Festival – my favourite flavour! Your pictures are stunning! 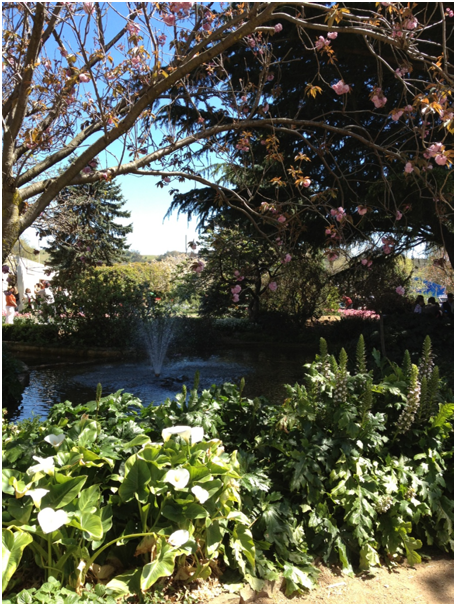 Thanks for sharing some of your lovely time in Bowral with us. The town looks lovely and the food looks delicious and don’t get me started on those chocolates!! I looks like you had a blast! Those were great pictures and I was enthralled reading it! Thank you! The cake looks like a terrific recipe but the box of homemade chocolates definitely has me drooling all over the keyboard. wow! what a full post! Those tulips are beautiful! great photos! What a wonderful day trip! 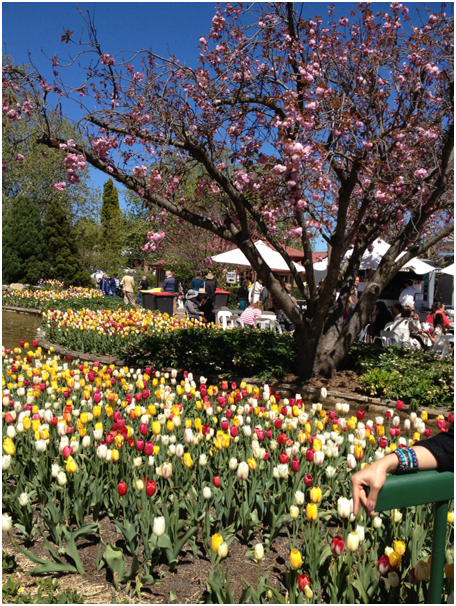 The tulips are gorgeous, the food looks amazing and the desserts…yum! I’ve been living in Sydney for 2 years and I’ve never been to Bowral, what a pitty. Maybe next time. Lovely post! Your lunch looks amazing! 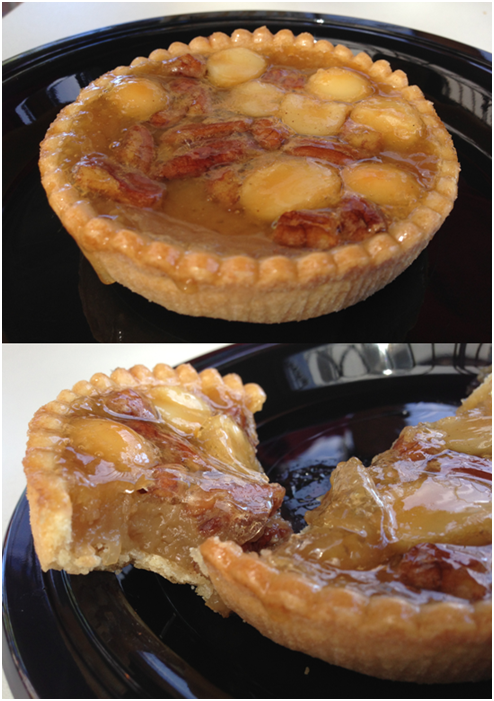 As does your mom’s pecan tart! OMG, me and pecan pie? It’s a thing. Anywho, this is waaaaaaaaay in advance, but I just wanted to let you know that I’d love to have you do a Christmas (or holiday season, if you don’t celebrate!) in Australia guest post for me this December, if you feel like it 🙂 No worries if you’re busy/don’t want to! I will have to find a guestpost worthy for Christmas time but if my exams are ok and all, I will definitely try to get a guestpost for you! I am actually on holidays during Christmas so close to New Year? Thanks for taking us to a virtual trip to Bowral! Beautiful, delicious, and fun trip! 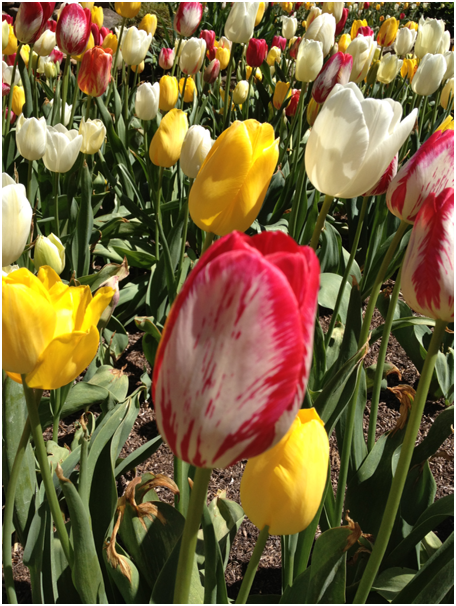 Tulips look so pretty! I’m sure you had a wonderful holiday with your parents! Everything – the food and the palces – is amazing! Loved this post! 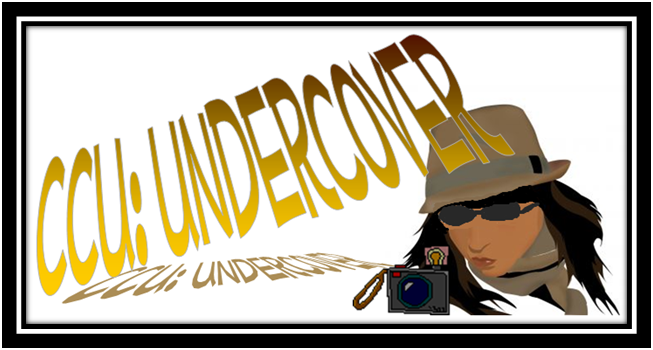 Great undercover work! Thanks for sharing all the images. The scrolling was absolutely worth it: you must have had such a great time! I’ve “favourited” the post, so I’ll do your cake later. It looks great! 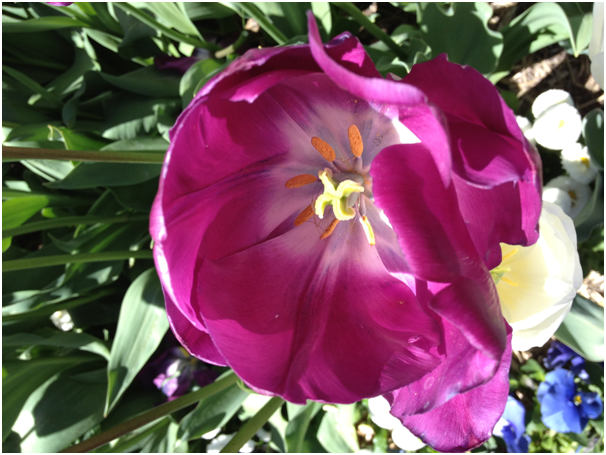 CCU, thanks for the “flowergram” 😉 — loved seeing the colors and varieties at the tulip garden. 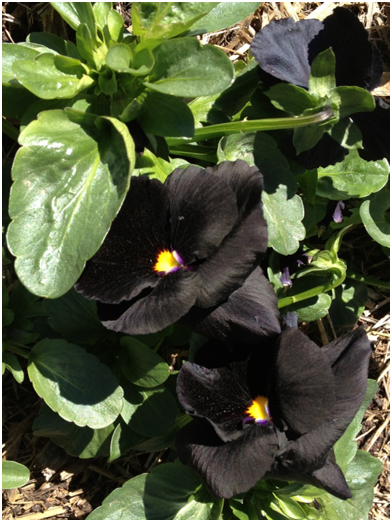 The black flowers you photographed were amazing, too! 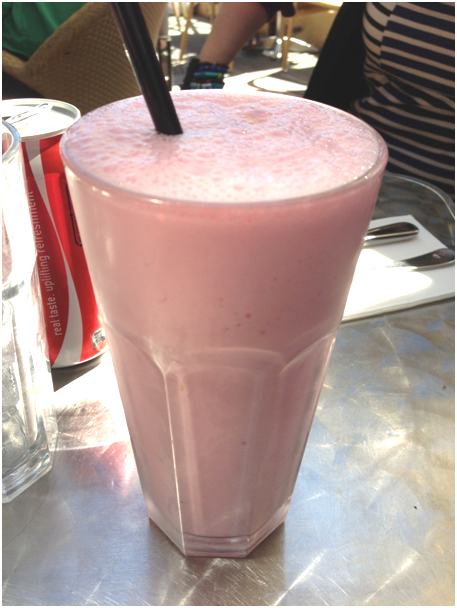 I also enjoyed tagging along as you taste-tested your way through Bowral. 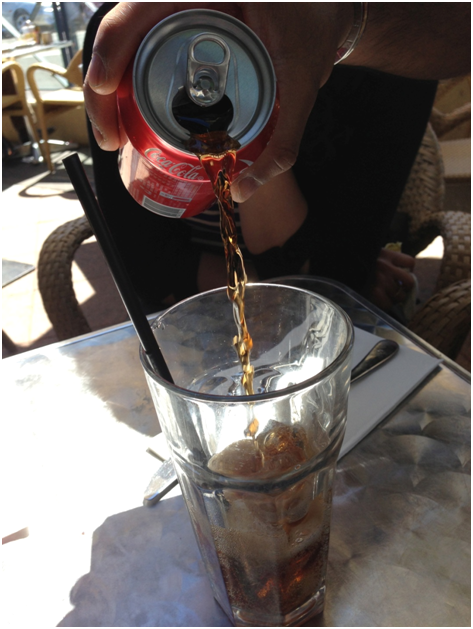 Mmmmm… (and I wasn’t referring to the waiter, lol!) 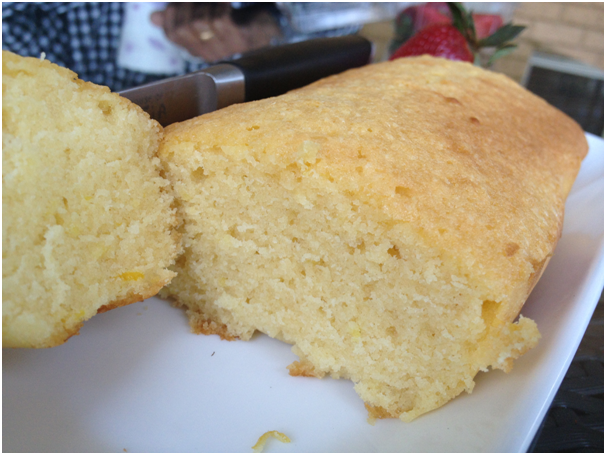 I truly didn’t expect dessert on top of an already great post, but your lovely lemon cake took the cake! Glad you enjoyed my friend! Such a picturesque place; sounds like you had fun! 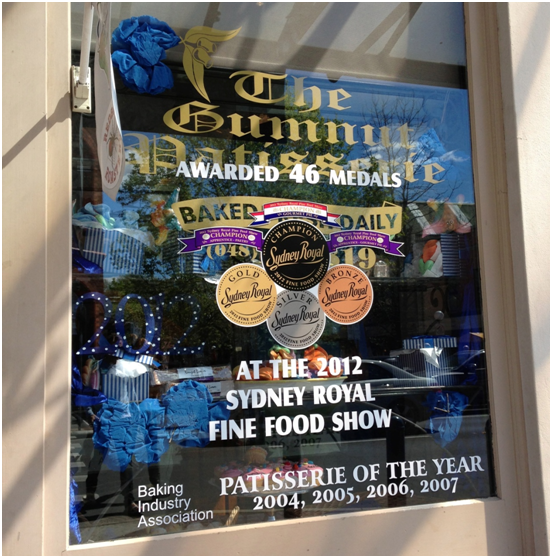 I would’ve… especially if such a cool patisserie was in town! Loving the cake too! I need some cute bundt pans now! Your warning about a lot of scrolling was spot-on! But it was worth it – sounds like a great time, and most important you had lots to see and eat. What more could you want? (Especially the eating part!). Good stuff – thanks. Salted caramel macarons? Drool worthy! Looks like a fun trip. Thks for the awesome tour, Uru! I’ve been to Sydney many times but haven’t heard of Bowral. Such a lovely place & I love the shots! SO much yumminess!! It seems faintly criminal!! I enjoyed looking at those lovely bakes and the macaron especially! And such gorgeous pictures of the flowers and scenery! If I ever head to Australia, I should put this places on my itinerary. You know my idea of a perfect life? Live in Australia from October to March and then come live in US for the rest of the months. Wouldn’t that be just PertFecto!!! The flowers are so gorgeous, and what a quaint beautiful town. Reminds me of some perky little towns in California punctuated with petit cafes and a bustling junta. Sounds like such a fun day! And that cake sounds super scrumptious. Looks like a lovely little journey and well worth it for those pastries. They sound marvelous! Here it’s getting colder and colder (and rainy…yuck!) , into pumpkin season it’s so interesting to see your opposite season with all those beautiful tulips and sunshine and lemons. Just beautiful! 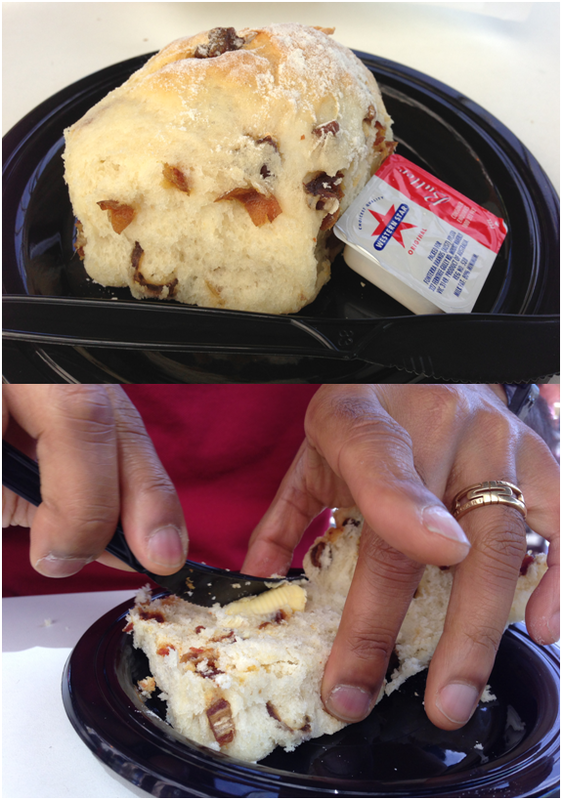 Your cake sounds absolutely fresh and delightful! Miel Hojas sounds absolutely delicious! Such a delightful family outing. Great post filled with delicious food. Wish I s there to sample some of them. Beautiful and charming place. I’d have driven there just for the bakery but the rest of the visit looks fabulous as well! What a terrific trip, and such a delicious cake to come home and enjoy! 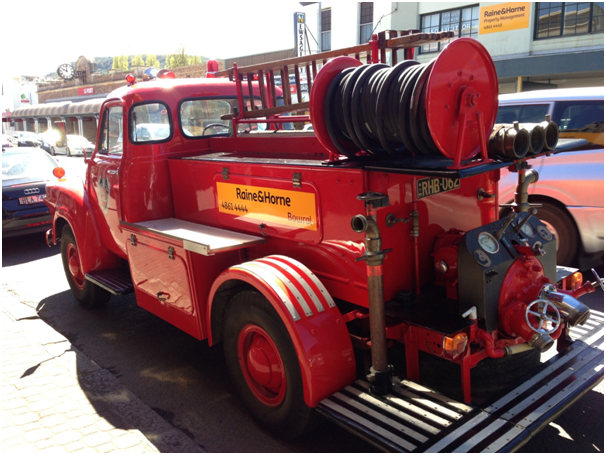 Great post, I just love quaint little towns, that firetruck is wonderful. The food (all of it) looks beyond delicious, Must try the cake recipe looks so moist and delicious. You are making me so jealous. 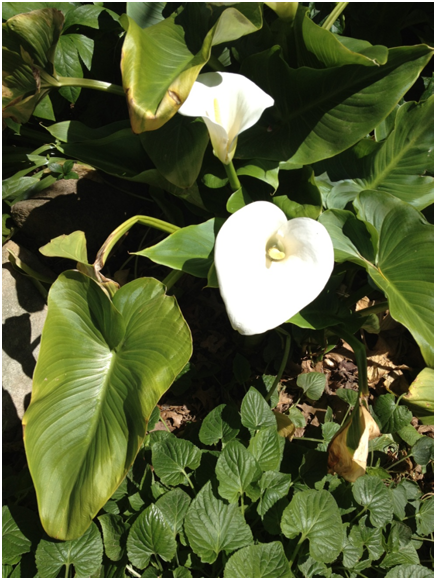 YOU GET TO HAVE SPRING! It’s Fall here. I hate fall. I miss spring. Perhaps I should move to Australia for a bit? Also-omg all that food! That bakery! That town! So cute, so pretty, so much deliciousness! I’m so glad your holiday was filled with delicious food! You deserved the break. Beautiful cake, CCU, and I always enjoy your reviews. Hope you visit soon my friend! What a post! What a fabulous weekend you and your family had. I love the “food centric” experience if it because that would be the same for us. That macaron looks pretty incredible. 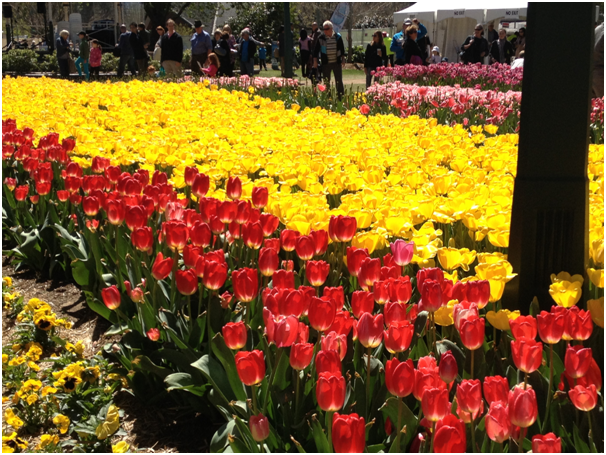 And the tulip festival to enjoy seemed just lovely! I’d forgotten what a pretty town Bowral is and that macaron looks delicious ! Amazing pictures and I love all the flowers. What an outing with your dad and the desserts are all superb. 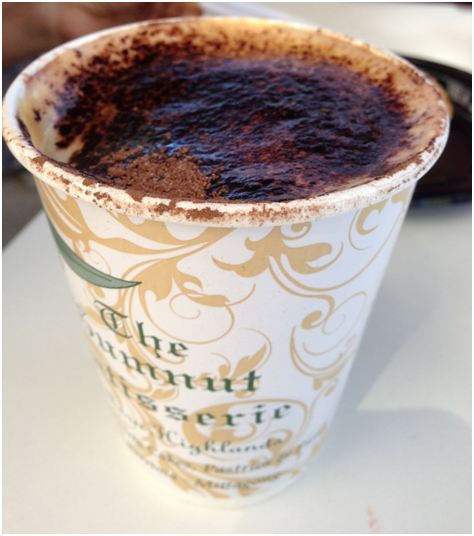 I will also go for the large cup of cappuccino. Having been to Perth few months ago, its sort of bring back memories of my time roaming in the bakeries though I enjoyed looking all the spread but as usual, desserts don’t trill me. Seriously if you get a chance, go next year you would love it! Delicious post and I love your writing! 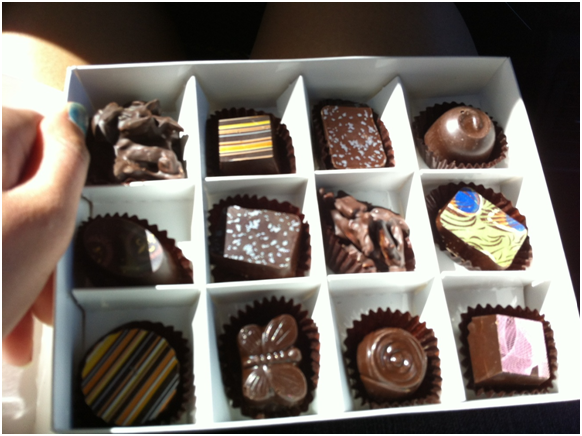 Love the pictures and especially the bakery and the box of homemade chocolates! 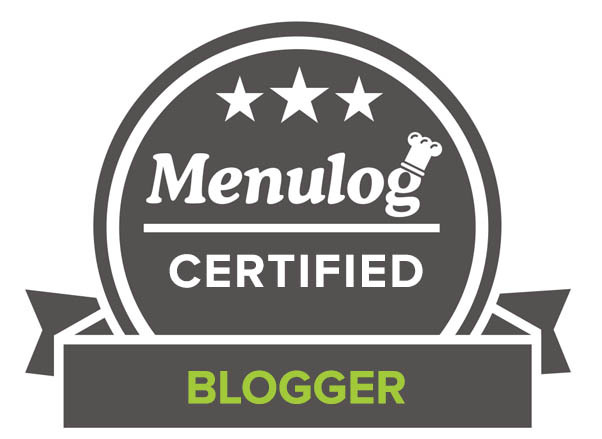 I would love to one day blog for a living!